We are always thrilled when the products we represent are featured in magazines. Recently, Architect Magazine featured the Lenova TKO hands-free faucet in their recent feature “10 New Products to Spice up the Kitchen”. The product was highlighted for its modern functionality and beautiful aesthetic. For centuries, kitchens have had a functional purpose but today’s consumers expect more. Homeowners want a place to cook, entertain and clean with ease. 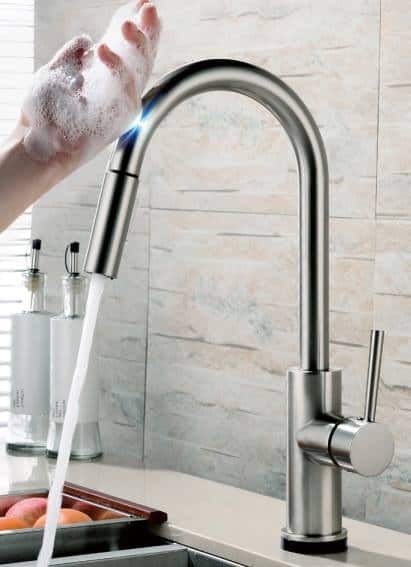 The TKO faucet from Lenova uses updated technology to help modern-day cooks accomplish it all. See the excerpt below or check out the full feature here. Source: SYMONE GARVETT, MARY SALMONSEN. “10 New Products to Spice Up the Kitchen.” Architectmagazine.com, 2019, https://www.architectmagazine.com/technology/products/10-new-products-to-spice-up-the-kitchen.